A team member from Slysoft today posted on the company’s forum that ‘Slysoft is gone’. This marks the end of an era that lasted 13 years while the company was continuously under pressure from all kinds of organisations that tried to shut it down. Slysoft was a target because it developed software that could circumvent a range of copy protections found on CDs, DVDs and Blu-ray discs. The team member posted the same statement as previously already found on Slysoft.com with some additional information. Slysoft started by acquiring the licenses to sell software once developed by Elaborate Bytes. Elaborate Bytes developed CloneCD, a very successful CD copy application that was able to deal with many copy protections such as Safedisc and SecuROM. Besides CloneCD also CloneDVD was licensed by Slysoft which accompanied by AnyDVD made it possible and fairly easy to backup copy protected DVD movies. The CEO of Slysoft was Giancarlo Bettini, a former casino owner who after the Patriot Act became in effect in 2001 searched for a new venture. This new law made it illegal to gamble online outside the US for US citizens. He started Slysoft in 2003 and acquired the rights to sell software formerly developed by Elaborate Bytes (now Elby). This company was German and the copyright laws in that country made it impossible to continue operating from there. Eventually Slysoft’s software portfolio was expanded with AnyDVD and DVD Region Killer that were also acquired from Elaborates Bytes. Later the company also acquired Game Jackal, which due legislation in Australia could no longer be sold by its original developers. Especially AnyDVD and AnyDVD HD, which made it fairly easy to make backups of copy protected movies, made the company a target of authorities and license bodies. In February 2014 the company was found guilty of violating the Antiguan copyright laws and Bettini was fined 30,000 East Caribbean Dollar, about $11,000. That fine might seem small but for Blu-ray copy protection licensing body AACS-LA the precedent was important. While it could not close down Slysoft, it hoped to go after companies providing services to the Antigua based company. Due to the conviction they could tell those companies, “you’re doing business with a company that conducts illegal activities”. In 2011 the AACS-LA also took Slysoft to court but nothing came out of the case. Apparently the AACS-LA tried to settle with Slysoft, or at least tried to let them cease operation voluntarily. As an AACS-LA attorney once stated, “We discovered SlySoft several years ago and tried to offer various forms of self help, if you will”, and adds, ”We didn’t get very far with that”. In 2013 the World Trade Organisation gave permission to Antigua to violate U.S. copyrights. The generated income should have compensated for US restrictions on gambling sites hosted in the country. In 2015, documents leaked by Wikileaks showed that Slysoft was still the AACS-LA’s hit list. It’s unclear what has happened to the people behind Slysoft. Although the CEO was known by name, the other team members have always been mysterious entities. While the Slysoft.com domain is closed, just as Slysoft Inc., it could be that the source code of the software is still in the hands of the people that have been running the company. If they can somehow release it to the public or sell it, the software could possibly come back, but it’s too early to speculate. 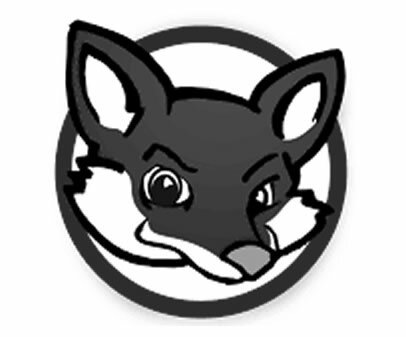 One thing we do know for now, it’s time to say goodbye to the Red Fox that has served many of you so well for many years. Hopefully it will follow the path of the Chinese monkey that was able to resurrect.